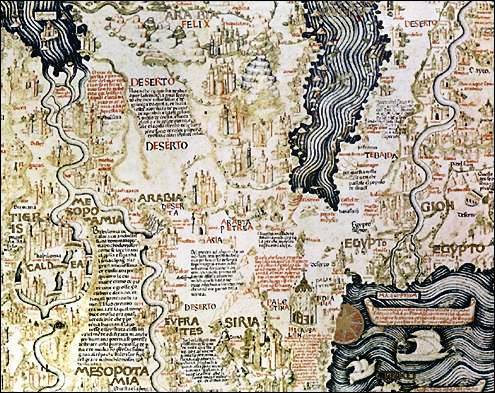 The Fra Mauro map. Middle East. 1459. Originally uploaded to English Wikipedia by PHG as FraMauroMiddleEast.jpg.